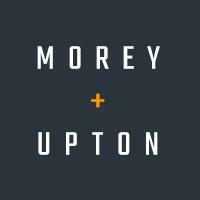 Founded in 1994, the personal injury law firm of Morey & Upton, LLP, helps recover compensation for those who have sustained burns, spinal cord, brain and other catastrophic injuries from auto accidents involving semis, motorcycles, bicycles and pedestrians, as well as hazardous or defective products or machinery. Having recovered over $150 million in settlements and verdicts for individuals in Costa Mesa and all throughout the state of California, Morey & Upton is seen as one of California’s premier personal injury law firms. Many of the attorneys have impressive backgrounds, with decades of legal experience, and extensive time litigating cases in both state and federal courts all throughout California. Two of the partners also have educational credentials that are unmatched by local competitors. Whether you need help recovering from an accident involving a semi or motorcycle, or an injury that stemmed from defective construction equipment, Morey & Upton has the size, strength and resources necessary to go toe-to-toe against sizeable entities, as well as large insurance companies who are often involved in the process. Do not handle the case on your own. The lawyers with Morey & Upton have a reputation for getting results, and will fight to ensure you get maximum compensation for your injuries. The firm offers free consultations, contingency fee arrangements and Spanish translation services.